“Beautiful, simply beautiful,” were among the excited responses as the first 80 of the two hundred guitars were recently handed out in Managua, Nicaragua. Recipients were actually dancing with joy as Balbir Mathur, President of Trees for Life/Books for Life and Jesus de Santiago of HISPAMER Bookstore, Nicaragua distributed the Manuel Rodriguez classical guitars to the Nicaraguan Librarians. The librarians represented the 53 Books for Life and Books for Life – Nicaragua libraries. Balbir related what a joyful and moving experience the event was for Jesus, himself and all of the participants. The two hundred guitars were a gift to the children of Nicaragua by the Manuel Rodriguez and Sons Guitar makers of Spain. In 2009 Trees for Life President Balbir Mathur spoke at an international conference Campus of Excellence in Madrid, Spain. This was the third year for the conference which was founded by Jose Calvo, Director, Campus of Excellence. Balbir was presented a with a world-renowned Manuel Rodriguez classical guitar by Manuel Rodriguez, President of the Manuel Rodriguez Guitar Company. The Manuel Rodriguez company has been creating Spanish style guitars for 4 generations. In conversation with Balbir, on behalf of the Manuel Rodriguez Guitar Company, Manuel agreed to donate 200 guitars to the Trees for Life partner libraries in Nicaragua if Trees for Life and Books for Life –Nicaragua would raise funds to cover the shipping and import fees. Dedicated TFL volunteers and supporters quickly raised the funds for associated expenses and the guitars were soon on their way. 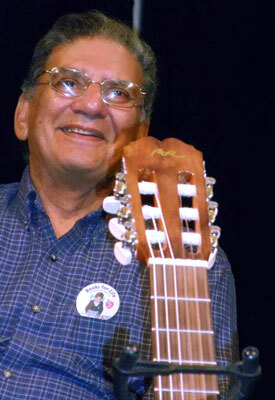 On May 20, Balbir will travel to Nicaragua to participate in the dedication and distribution of the guitars. Representatives from the 53 Books for Life Nicaragua libraries will be on hand when Jesus Santiago, President, Books for Life –Nicaragua and Balbir present the guitars for the benefit of children who now not only have libraries and computers but also the ability to make music. To learn more about Trees for Life and its programs please join us at Trees for Life. Thanks to you we are over the top. We have reached our goal of 200 guitars. Thanks to your generosity the guitars will be delivered to Nicaragua in the next few weeks. Each guitar has a plaque on the inside of the body with the name of the donor. As the guitars are distributed each donor will be notified of the location of their guitar. We would like to extend special thanks to Ann Garvey and Dulcie Guinty, event coordinators and Josh Jackson of Abode Venues. We would also like to thank the musicians; Jenny Stover-Brown, Henry Harvey Samatha Gales, Adara Clapham Richard Crowson, Phil Burress Karen Crowson Bob & Rudy Love, and Pop & the Boys who so generously donated their time and talent. Balbir Mathur, President of Trees for Life with the Manuel Rodriguez Guitar that inspired the Heart Strings Guitar project. 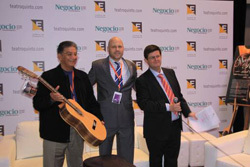 Balbir received the guitar from the Manuel Rodriguez Guitar company as a gift for speaking at an international conference in Spain. 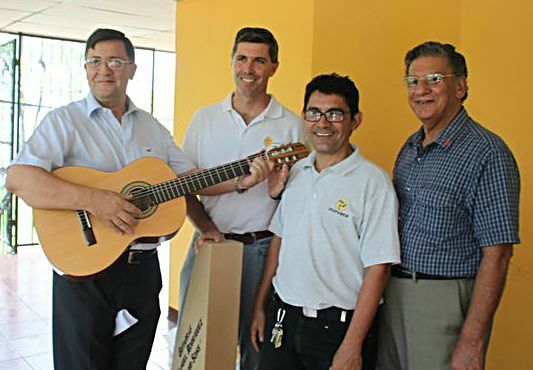 As a result of that award Balbir proposed to “pay the gift forward” and, in cooperation with the Manuel Rodriguez Guitar Company, who offered 200 guitars for cost, a goal of purchasing the guitars for Libraries and therefore the children of Nicaragua was created. The cooperative efforts of numerous donors, participants and musicians at the Tug the Heart Strings concert held on December 26 in Wichita purchased 47 additional guitars toward that dream. The entire order of 200 guitars entirely purchased by donations will begin their journey to Nicaragua very soon. 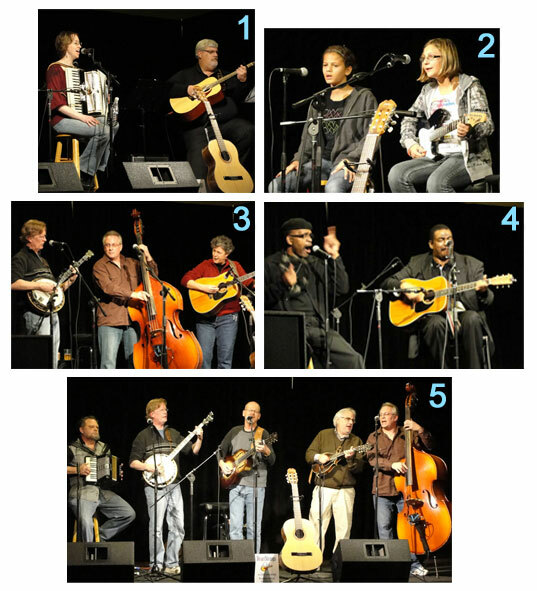 Trees for Life would like to thank to the generous support of the Wichita Acoustical Society and the talented musicians for making the Tug the Heart Stings concert a success. Jeffrey Faus, guitarist, singer, musician, writer and long time Trees for Life and Books for Life staff member appears on KAKE TV as part of the “Heart Strings” Guitar program. In addition to appearing on KAKE TV to promote the Heart Strings program Jeffrey has been instrumental in organizing the “TUG THE HEARTSTRINGS” music event. HeartStrings is coming to First Friday! 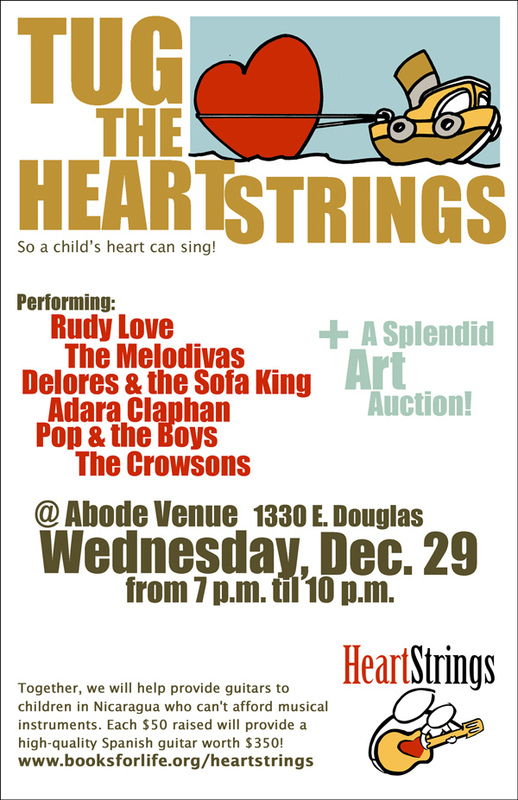 Wichita’s popular monthly music crawl will be presented by HeartStrings on December 3. Adam Hartke, organizer of First Friday, has been talking with the bands and venues involved, and several of them will be accepting donations to help sponor guitars for kids in Nicaragua. Another year has passed! Come out and celebrate the last First Friday of 2010! We have some great shows this go around! On behalf of the Wichita music community, I would like to thank you for your continued support of live music in Wichita! Thanks to our sponsors for helping make this event possible: Lucinda’s, House of Schwan, Midwest Drum & Percussion, KMUW, Naked City Magazine, KWCH/KSCW, Wichita Arts Council, Wichita Downtown Development Corporation, REAL Development, Nieman Creative, and Fractions Journal. *CC indicates that a cover charge may apply. A 10-year-old girl in Wichita is raising money to help Books for Life to provide guitars to kids in Nicaragua who can’t afford musical instruments. She has sponsored the 100th guitar donated through HeartStrings, a program of local nonprofit Trees for Life. Adara Claphan, 10, is not only learning to play guitar herself—she also is raising money so that poor children in Nicaragua will have guitars to play. One of the guitars she is sponsoring is the 100th to be donated through HeartStrings, a program of Wichita nonprofit Trees for Life International—bringing the count halfway to the overall goal of 200 guitars. Adara, a fifth grader at a public school in Wichita, was inspired when she visited the Trees for Life office with her grandfather. There she met Balbir Mathur, president of Trees for Life. Mathur told her about HeartStrings, a movement to provide guitars to kids in Nicaragua who can’t afford musical instruments. The guitars, which normally sell for $350 each, are being offered by the Manuel Rodriguez & Sons guitar company for only $50 each as a gift to children in impoverished areas of Nicaragua. The guitars will go to libraries established by a branch of Trees for Life called “Books for Life.” That way, each guitar will be enjoyed by many children. When asked why she is reaching out to help children in another part of the world, children she will never meet, Adara explains: “I thought about how much I like playing guitar, and how it would make another kid in a different country feel—happier than I feel, because I know they’re probably a poor country and don’t get many things like this. Three years David Grayson of Dodge City, Kansas started a project designed to encourage area children to read. Grayson built 15 bookcases and stocked them with books for beginning readers. 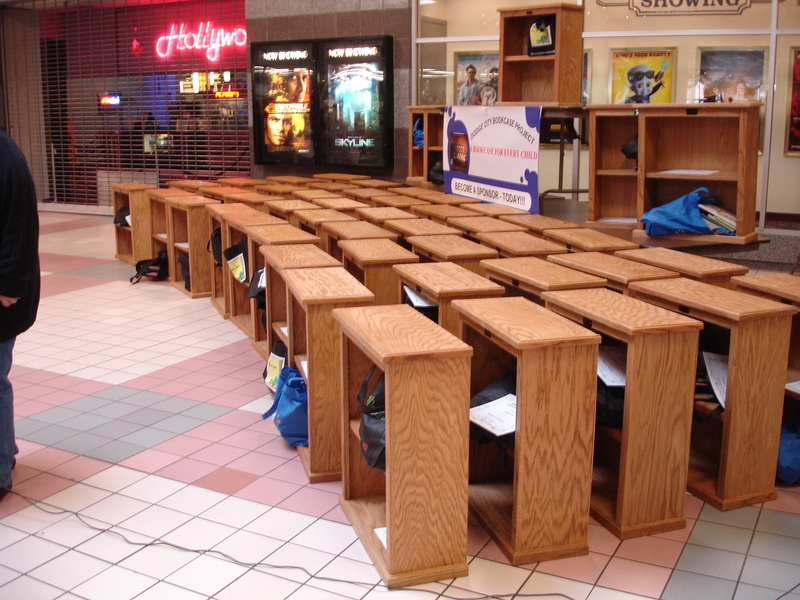 This year with the assistance of Walt Redburn, John Featerstone and Marsha Gomez 50 bookcases were built for area students. To insure that each of the 50 bookcases came well stocked with books, David Kimble, executive director of Trees for Life International, in cooperation with Dillon’s Food Stores provided 1,000 books for the project. 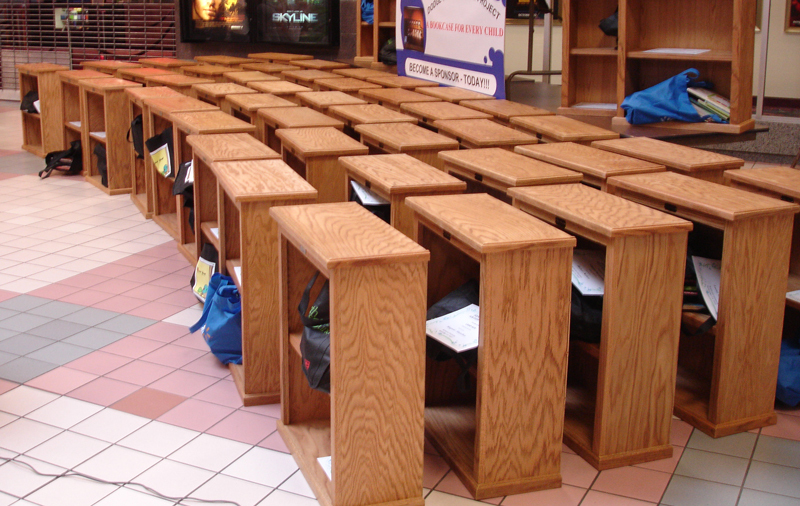 The students receiving the bookcases were selected by their respective elementary schools and from Bright Beginning Head Start and Sacred Heart Cathedral School. Each bookcase is personalized with a plaque bearing the child’s name, and a certificate with their sponsor’s name on it. 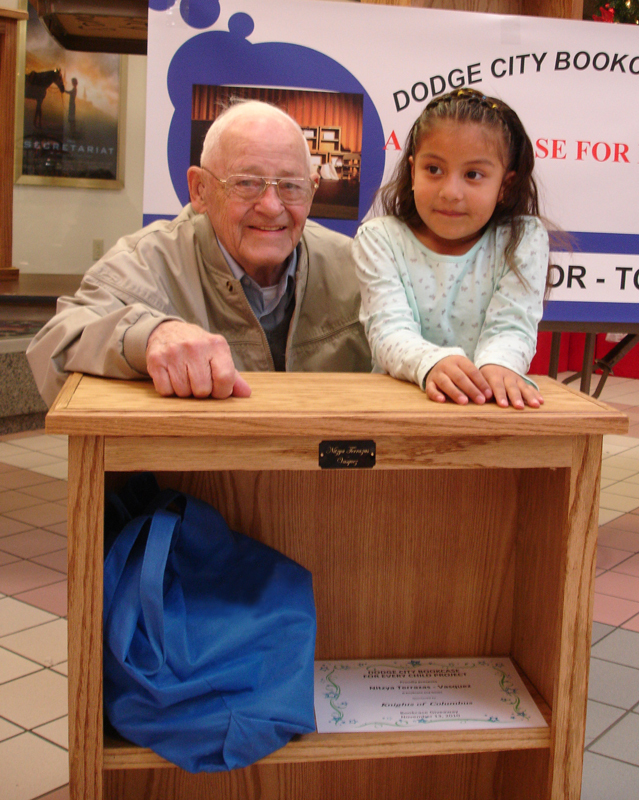 Grayson uses individuals and local businesses to sponsor the cost of a bookcase. And what about next year? If 50 bookcases filled with books were good, then 65 has to be even better, right? Well that’s what David Grayson and his carpenter elves think. 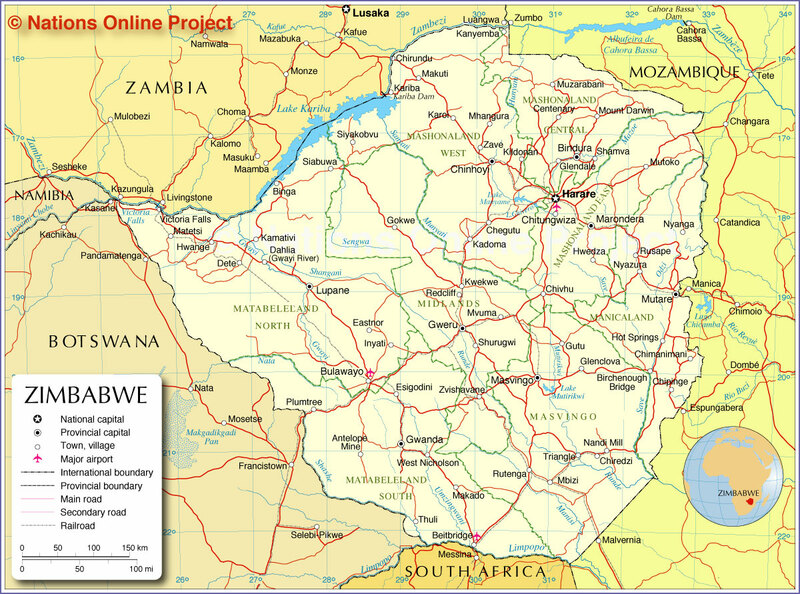 Lamiel Phiri, a native of Harare, Zimbabwe, connected with Trees for Life a little over ten years ago. Since that time Books for Life (the educational component of Trees for Life) has been evolved with Lamiel and the various orphanage schools that are his heart and soul. 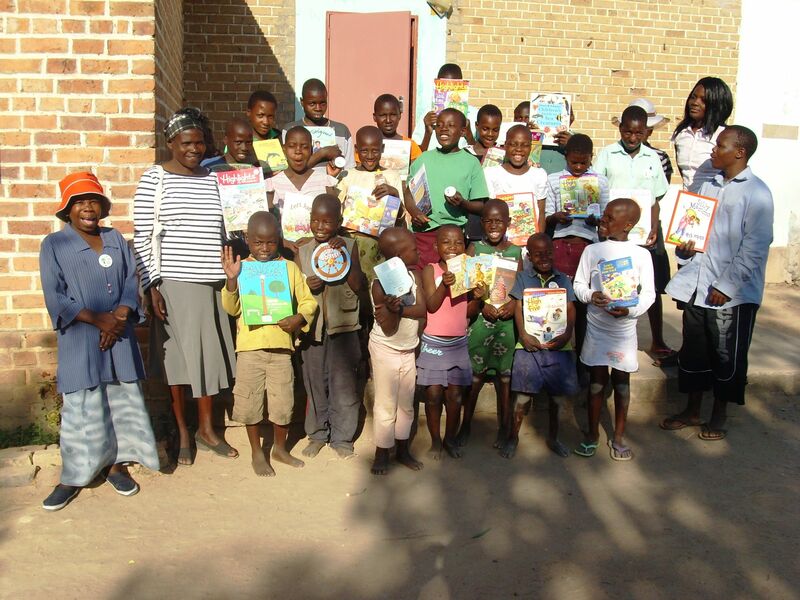 Lamiel, a man whose heart is bigger than his body when it comes to providing for the schools and its children sent the photograph of some of the students with some of their new books provided by Books for Life. In our society it is hard for us to understand how a school could even exist without books, unfortunately that too often is the case.